Our estate agents in Knowle cover the local housing market as well as homes in all surrounding districts. Love Your Postcode can accurately value your property and market it both online and offline to generate rapid interest in an exceptionally short period of time. We make the process easy by cutting out the stress; we facilitate viewings, negotiate all offers and leave you feeling nothing but refreshed and satisfied. Located 3 miles east-southeast of the town of Solihull, Knowle is a popular and exclusive area where our local property experts handle the needs of various clients. We rise to the challenge of selling your home in three weeks. We have a variety of different property and houses for sale here, please check our properties search page. Whether you are buying or selling, Love Your Postcode’s estate agents are here to help. Our local branch are currently looking to take on more properties within this area, and we are sure you will be impressed by our refreshing approach to selling homes.  Love Your Postcode will advertise your property nationally, using a strategised mix of online and offline methods. In addition to this, we have a database of potential buyers so before your house even goes on the market, we may have already found your buyer. We will ensure both our buyers and sellers will pay only fair and transparent fees, to reflect the local market.